The Internet of Things (IoT) is forecast to be one of the most far reaching and fundamental shifts in how people interact with technology and their environment since the advent of the Internet. But, the rush to create new commercial prototypes, products, services, systems and stacks often means culture, custom, needs and desires are overstepped in the reach for profitable new use cases. 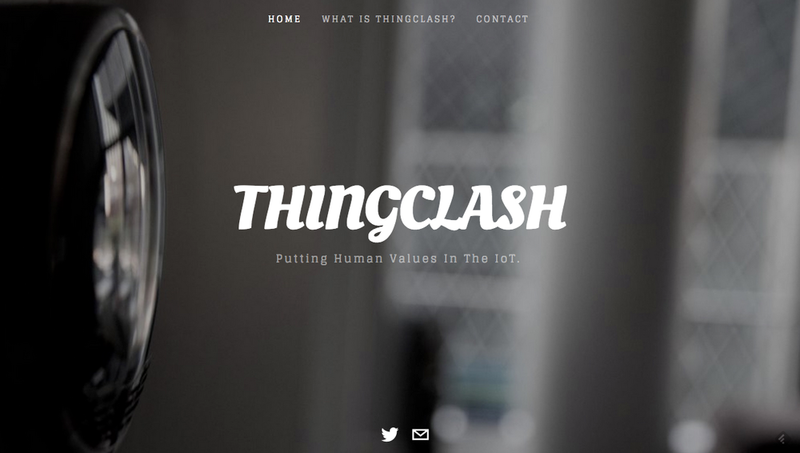 Thingclash is a framework for considering cross-impacts and implications of colliding technologies, systems, cultures and values around the IoT. A lab project of Changeist, a USA-based foresight and innovation group, Thingclash will include tools and activities that can help researchers, designers, technologists, strategists, policy makers and others with an interest in this field find ways to think more clearly, comprehensively and long-term about how we create a livable IoT future for all. To roll all of this into a broader framework for understanding how the IoT can best fit into the world. > See also this Wired article.